GMOs, genetically modified organisms, have gotten a lot of shame recently because of the mass crusade against them. Pictures of foods with syringes in them are often portrayed to scare us into the organic lifestyle, one that is becoming increasingly popular. I however, believe that there is nothing wrong with GMOs, and believe they can be used to help solve the problem of world hunger. There are still 1.02 billion people who live in a near-starvation level in the world. An estimated 26% of the world is said to be starving and there are over 4 million deaths a year due to starvation according to the Food and Agriculture Organization (FAO). This is of course, a huge problem, and one that cannot be left alone. GMOs can be used to help this problem by producing higher quantities of food that last longer. This solves the problem of food drives, which rely entirely on the goodness of people and only feed populations for a short period of time. With GMO agriculture introduced, the population will be able to have access to a food supply for their lifetime because plants are able to be replanted and grown. All efforts of GMO scientists have been focused on trying to prove to the public that GMOs are safe to consume. This shouldn’t be their main focus, but it is forced to be because nobody trusts the somewhat “sketchy” food supply. This crusade against GMOs is what is delaying the further research into the good uses of GMOs. While we are debating over whether GMOs are healthy or not, people in Third World countries are dying of starvation. One thing that we as Americans must realize is that we have been using GMO crops for ages; ever since the 1600’s actually! Corn, watermelon, bananas and even broccoli, are all GMOs that we readily consume daily. These crops are healthy for consumption and are highly regulated by the FDA, Food and Drug Administration, meaning that they have passed the food tests. 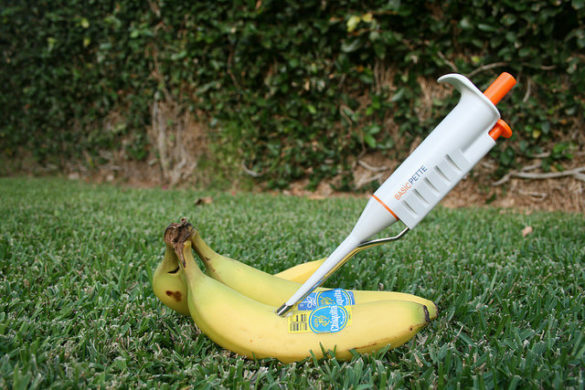 The actual process of genetically modifying an organism is also extremely natural. Mutations in our DNA happen very often, and one will probably experience close to one million mutations in his/her lifetime. This very same process of mutations is what is occurring in GMOs, so it isn’t as unnatural as you may have first believed. Another reason for the safety and success for GMOs is the fact that 88% of scientists that study GMOs say they are safe to consume. This however, isn’t the case for the public as only 37% of people think they are safe to eat. Why is there a huge divide between uneducated people and scientists that spend their whole lifetime studying these organisms? This division is in fact caused by a distrust in scientists, and was explained thoroughly in my earlier article, Why science communication isn’t effective. The public unfortunately, doesn’t trust scientists because of various factors such as lack of knowledge and understanding of what they do. There is definitely a reason that GMOs are so widely supported by scientists and that reason is because it is a solution to so many problems. GMOs allow farmers to harvest more crops in a smaller area, which defeats the main negative effect of farming, which is habitat loss. Farmland covers 38% already of the world’s landmass, and any increase in this number will continue to destroy habitats and biodiversity. Producing more food without GMOs would result in a catastrophic biodiversity loss. GMOs can and will be the means of solving world hunger. An increase in the food supply of Third World countries will lead to more affluence. This affluence will lead to lower birth rates and death rates, so those countries once exponentially adding onto our global population, will stabilize. This stabilization is what will solve the problem of hunger, but the GMOs are the kickstarters to get to that point. Simple answer to a simple question: Maybe. But you know what would help even more? If the governments of other countries didn’t suppress their people or raise the prices of produce to the point where it has to be donated or purchased by other nations. We produce enough food on this earth for every single one of us, but governments of other countries sell it instead of using it to feed their people. Others are starving not because there’s not enough, but because what comes around hasn’t been going around. Otherwise, I totally agree on several fronts with a disregard to my personal opinion of GMOs in and of themselves. Just posing this comment on the note of world hunger.